Looking for a pair of guard dogs? 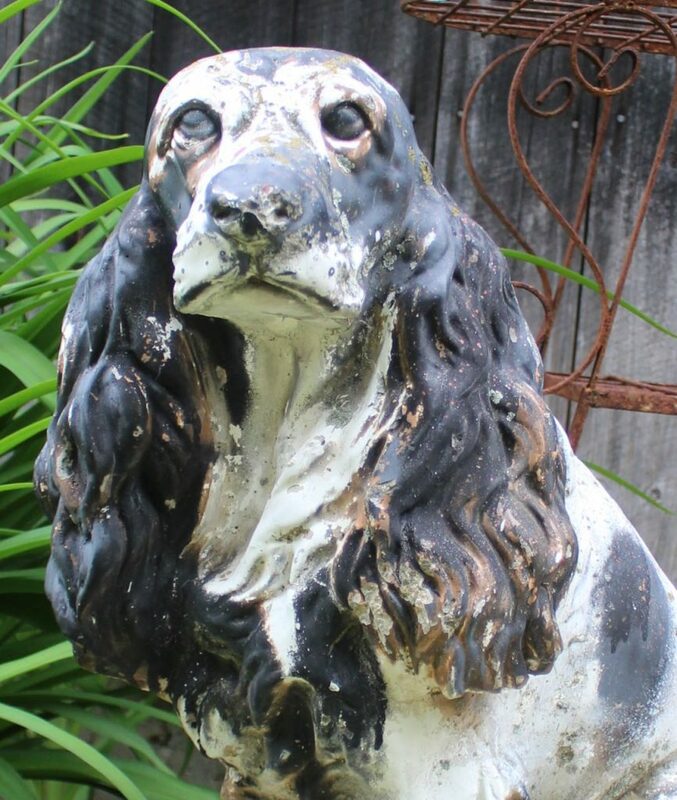 We have two antique cement cocker spaniels that might do the trick! Pictured is one of the pair. 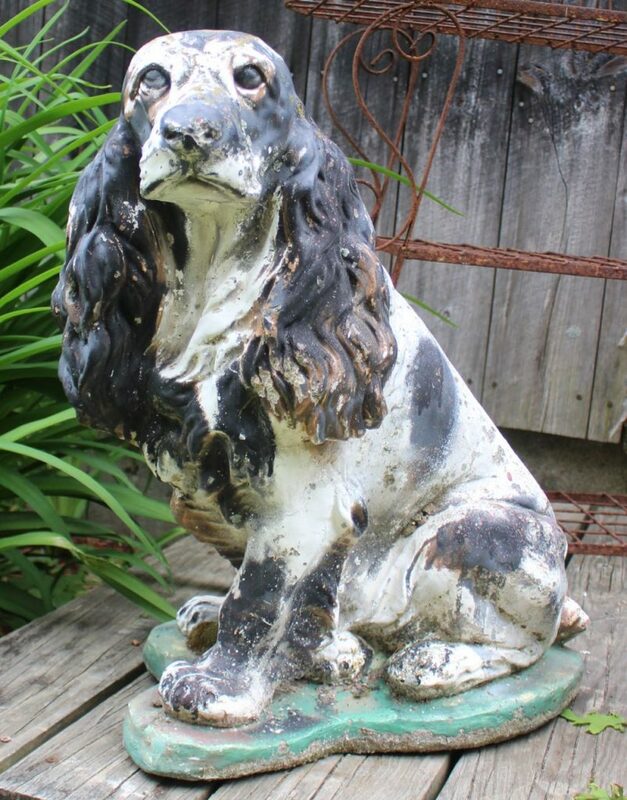 These old dogs are over 2 feet tall and they weigh well over 100 pounds each. Original paint. Some old repairs. Very unusual. Priced as a pair.